The architecture and construction industry is huge and getting complex day by day. From stunning skyscrapers to eye-catching, beautiful architectures, this industry is on fire to present something enormous which the world is never expected. To make the work process easier and faster, the Augmented reality applications are playing their role. With the use of augmented reality architecture model applications, you just have to scan the architecture with your phone’s camera and the application will create its 3d prototype which is ready to go for print or further modifications. This technique is really helping the engineers to work on complex designs. 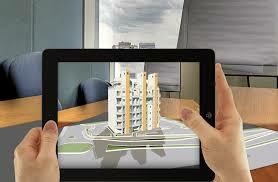 By using the augmented reality applications, the engineers can analyse a damaged building design. The AR algorithm calculates the parameters and the structure so accurately that the designers can design the exact architecture again with more security measures suggested by the application itself. The augmented reality architecture design is the future of skyscrapers. 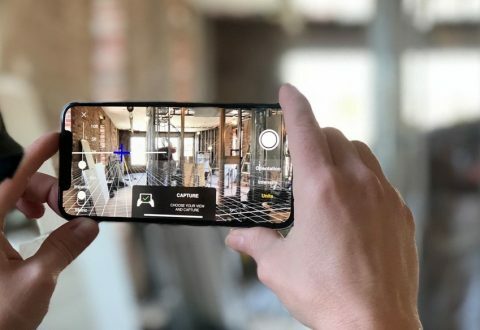 One of the biggest advantages of AR integration in the construction domain is the ease of scaling any architecture virtually and redesigning it efficiently. There are so many augmented reality architecture and design tools which let you convert the design into a 3d file, and you can start editing the structure on the go! Cool, isn’t it? A team of engineers who are sitting thousands of miles away from a site can see every part of the construction and discuss the progress with the local team. That’s the power of AR and technology. Many companies including the 3d Spectra Tech is working on such collaboration projects to make the work of engineers smoother. Previously the customers had problems in understanding the blueprint of their dream house by a 2d complex maps and drawings. But thanks to the Augmented reality and Virtual reality, the customers can virtually see how their home will look. They can also ask to redesign a specific part if they don’t like it. The applications of AR in architecture are vast and are increasing as our demands are growing. In the future, we can expect more usability of AR in every field. You can also check out our AR services for your any requirement.